The digital transformation era has been taking various forms in almost all industries and changing a lot of processes. Enhancing efficiency and productivity is a major objective behind adopting the trend of digital transformation. Sometimes, it is customer demand, while, sometimes, it is changes required in internal processes that drive companies to take steps in adopting digital platforms. The driving factor is important. 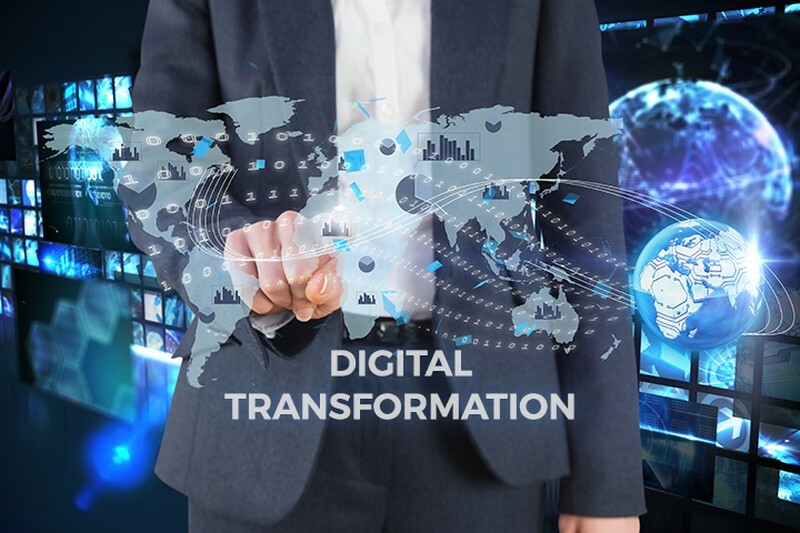 In addition, it needs to be noted that the digital transformation is an ever-evolving process. The business expands and consumer needs change. The success of digital transformation depends upon improving the processes and serving consumers in a better way. Businesses have been forming alliances to serve other industries better. Alibaba Cloud and KPMG collaborated to facilitate digital transformation for other companies. While, an airline company Cathay Pacific has availed services of Salesforce to enhance customer engagement and improve their overall experience. Various platforms have been launched for accelerating the insurance claims process and streamline the entire process from start to end. Healthcare facilities have been collaborating with tech giants to bring digital platform to the clinical care. Various industries have been adopting the digital platforms to improve processes and serve customers better. The global digital transformation industry would grow at a significant CAGR by 2025, according to the research firm Progressive Markets. Businesses are adapting with the digital transformation taking place across the world. Various organizations are joining hands with other market players to boost their capabilities and ease up adaptation for other companies. The Chinese giant Alibaba has joined hands with KPMG to ease up digital transformation process for other organizations. Alibaba Group’s cloud computing arm Alibaba Cloud has collaborated with KPMG to help businesses of all sizes across multiple industries to facilitate the process of digital transformation. This alliance will also render services related to IT strategy consulting, new retail, and cloud-based digital solutions. The objective is to establish a global ecosystem with the help of cloud services and infrastructure and serve organizations with multi-cloud strategies. The clients of KPMG can avail local cloud services from Alibaba Cloud. The strong capabilities of cloud computing and artificial intelligence (AI) of Alibaba combined with global network and business acumen of KPMG would help customers in adopting digital solutions and foray into new markets. Ever-expanding needs of organizations in terms of high performance and secure cloud network would be served through this collaboration. Moreover, key transformation priorities such as innovation, growth, and operational efficiency would be addressed. An Asian airline has determined the need to deploy digital platform to enhance customer experience. Cathay Pacific, a Hong Kong-based international airline has adopted Salesforce platform to speed up digital transformation. The airline aims to achieve connected and personalized engagements with customers. Cathay Pacific would deploy the Salesforce Marketing Cloud to bring together sales, service, and marketing to offer enhanced customer experience. In addition, Cathay Pacific would be focused on major areas including increasing customer base, personalization of touch points along the journey for travelers, and gaining an extensive view of the members of its Marco Polo loyalty program. With the digital transformation, the airline strives to cater to the evolving demands of customers to strengthen its position in the competitive airline industry. Mark Innes, General Manager and Executive Vice President, APAC at Salesforce outlined that customers demand highly personalized and seamless experience. The demands have been growing day by day. To meet those demands and stay competitive, airlines need to leverage technology and adopt a digital-savvy mindset. Technologically advanced solutions would take companies to even greater heights than before. Paul Loo, Chief Customer and Commercial Officer at Cathay Pacific emphasized that the company looks forward to achieving enhanced customer engagement across various devices and channels and fulfill expectations of customers. Insurance companies have been struggling with offering seamless customer experience. Users have been complaining about poor service offered by them while making insurance claims. Companies need to adopt digital technologies to make progress and offer better customer experience. An end-to-end digital motor claims management solution platform has been launched by Audatex. This platform facilitates the process of insurance claims. The platform is known as AudaENOL, which allows policyholders to start and have a control over the claim process. Each procedure can be seen through the platform including steps for insurers, repairers, and accident management companies. Moreover, this platform is available as smartphone and desktop app. This platform was developed based on the customer feedback regarding the time taken by companies to process claims. Along with accelerating the process, streamlining is also essential. Hitachi Solutions collaborated with Microsoft Dynamics 365 to help insurance companies in streamlining the process. It reviews key factors to offer claims assignments. The digital system organizes data in a better way and enhances visibility. These solutions would also help insurance companies to determine trends and detect fraudulent claims. The digital transformation has been brought to the clinical care with a new industry-wide open-source platform. Partners HealthCare, Massachusetts General Hospital, and Persistent Systems have joined hands to bring digital platform to the clinical care. With the digital platform, there would be an exchange of information across various healthcare providers. Moreover, there will be open source applications for the healthcare systems. According to the announcement, the platform will enable providers to deploy best practices quickly and cost effectively across their ecosystems. Known as Health Innovation Platform (HIP), the platform will be an open-source and at the top of the clinical care IT ecosystem. Once it is interfaced with other already existing systems, it would manage aspects such as security, authentication, and others. The aim of the collaboration is to create a uniform platform on which many apps will be built, and it will be easier to make them sharable. The collaboration has been building the platform and will add more capabilities over time and reduce costs. This will help clinicians in improving the care. 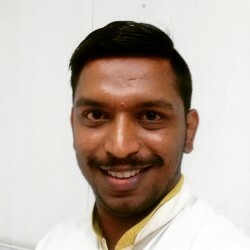 Bio: Pratik Kirve is writer, blogger, and sport enthusiast. He holds a bachelor degree in Electronics and Telecommunication Engineering and currently working as a Content Writer at Progressive Markets. He has avid interest in writing news articles across different verticals. When he is not following updates and trends, he spends his time reading, writing poetry, and playing football.